The Emergency Support Function 10 (ESF 10) Florida Unified Command is providing a service for boat owners allowing them to relinquish ownership of their damaged vessel to facilitate a quicker response to the pollution and safety concerns left in the wake of Hurricane Irma. 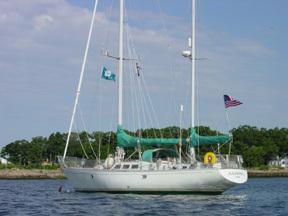 Owners of displaced vessels who lack the resources to have their boat repaired or if their vessel is determined to be beyond repair, may hand over ownership of their vessel through a waiver provided by the Florida Fish and Wildlife Conservation Commission, made available through the Vessel Removal Hotline at 305-985-3744. 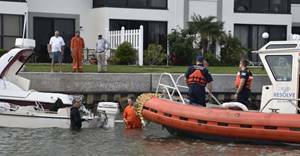 The waiver process can be initiated by contacting FWC through the Vessel Removal Hotline and requesting to turn over a displaced vessel. An FWC representative will then contact the owner to explain the waiver process and facilitate the turnover of ownership. 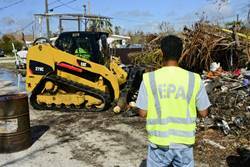 The assessment and removal of vessels displaced by Hurricane Irma continues. The updated figures below represent an approximate number of vessels assessed and removed as a result of the impacts of Hurricane Irma. These numbers are subject to fluctuate as more owners salvage their vessels, additional vessels are discovered in the affected areas and offshore assessments are conducted. Response crews oversee the cleanup of a vessel leaking fuel near Sebastian, Florida. 1 vessel removed from Islamorada. 1 vessel removed from Fort Myers Beach. 2 vessels removed in Dunedin, Florida. Response crews conduct assessments of displaced vessels in Satsuma, San Mateo, Palatka and Hastings, Florida. Response crews deployed boom to contain a sheen observed around a displaced vessel in Boot Key Harbor. 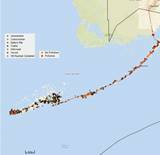 The Unified Command consists of U.S. Coast Guard Cmdr. 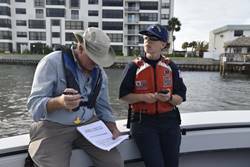 JoAnne Hanson serving as Incident Commander, Mr. Benjamin Franco, Environmental Protection Agency (EPA) Incident Commander and Florida Fish and Wildlife Conservation Commission (FWC) Capt. Jay Marvin, as State On-Scene Coordinator. 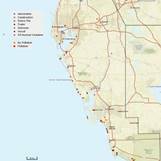 The ESF 10 is the framework by which federal support is coordinated with state agencies in response to actual or potential oil spills or hazardous material releases. 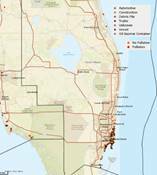 Partner agencies, including National Oceanic and Atmospheric Administration and Florida Keys National Marine Sanctuary, are contributing expertise and experience to the assessment and removal efforts.